Above is a map of the Vancouver School Catchment regular schools. You may want to visit the Vancouver School Board website to see which schools your property is assigned to. 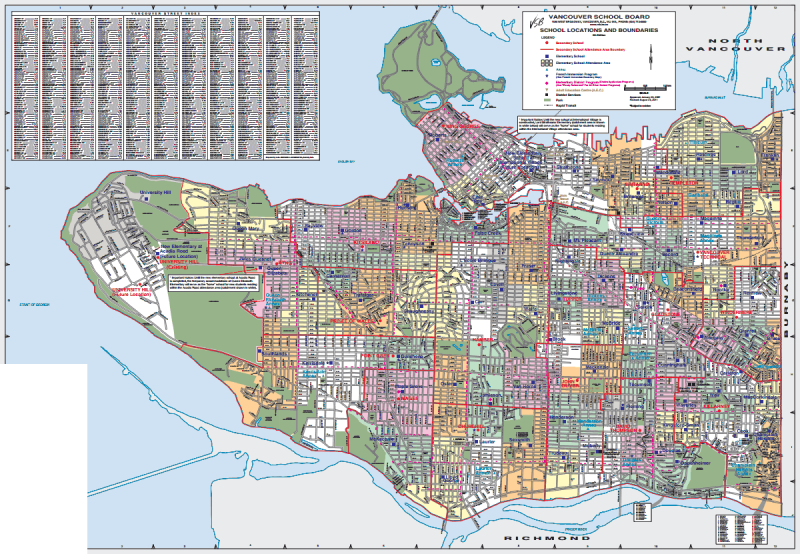 This map will help to determine the property location as to which school your kids can go to in Vancouver East and West side.